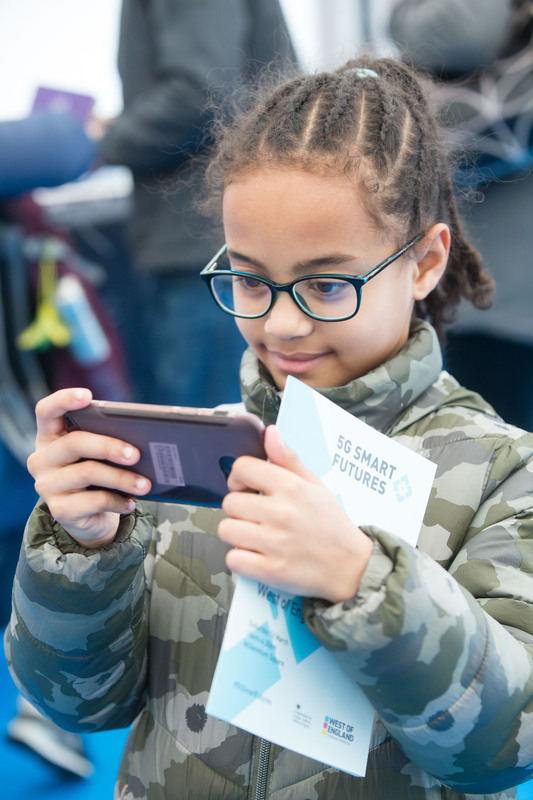 People flocked to the centre of Bristol to immerse themselves in the world of 5G and learn more about the networks and technology behind the 5G network, at We The Curious, Mshed, Bristol VR Lab and in Millennium Square. One of the highlights was “Orchestrating the Orchestra” – believed to be a world’s first 5G experience – which successfully synchronised three classical musicians across inter-connecting 5G testbeds in Bristol, Digital Catapult and The Guildhall in London without any lag. The event attracted so much interest that the crowd spilled out in to the entrance hall of We The Curious.